Once you have assessed your students, it can be helpful to follow up with tasks that can help them to fill in the gaps in their learning. Education Perfect can automatically create an individualised set of work for every student, based on their specific needs. Questions in Education Perfect assessments can be tagged with specific skills which are tested, and these skills can then be linked to Smart Lessons which will be automatically assigned to the students who need help with those skills. 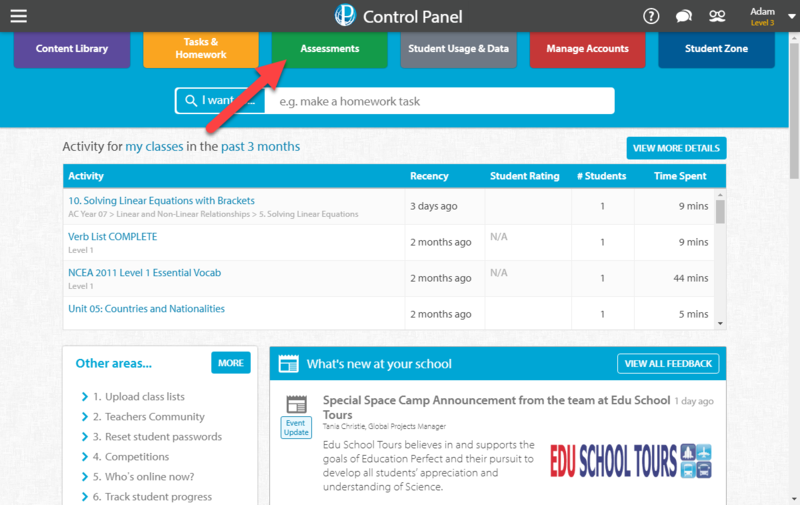 Navigate to the Assessments tab from your Control Panel. Hover over the assessment you would like to set remedial tasks for and click Analysis. Click on the View Recommendations button. This will take you to a list of recommended tasks. 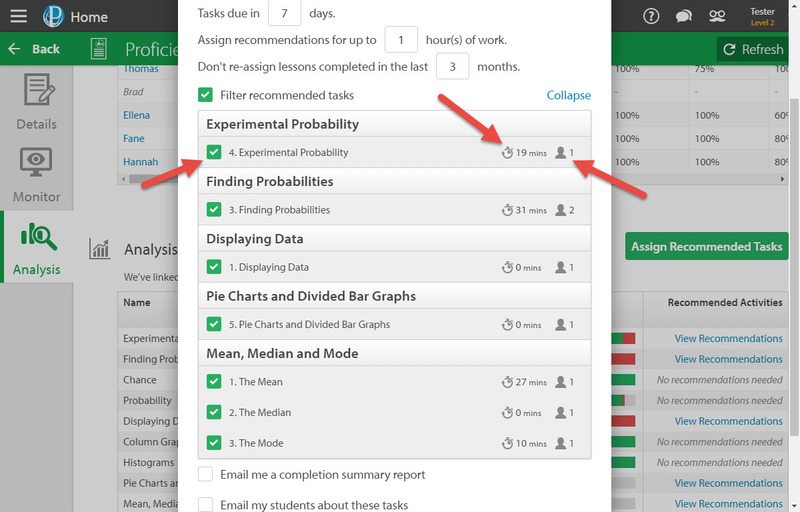 Click Show details next to a recommended task if you would like to see which students struggled with a relevant skill, as well as how they scored on each question that was tagged for that skill. You can either click the Assign this Recommendation button to assign a single recommendation or the Assign more Recommendations button to assign multiple different recommendations. 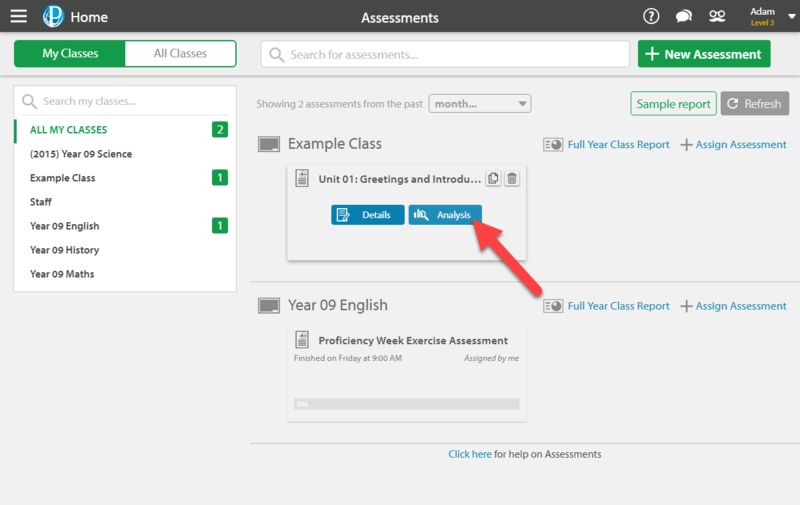 Select your settings from the pop-up window that appears, including how much work to assign to students, and whether to exclude lessons which students have recently completed. 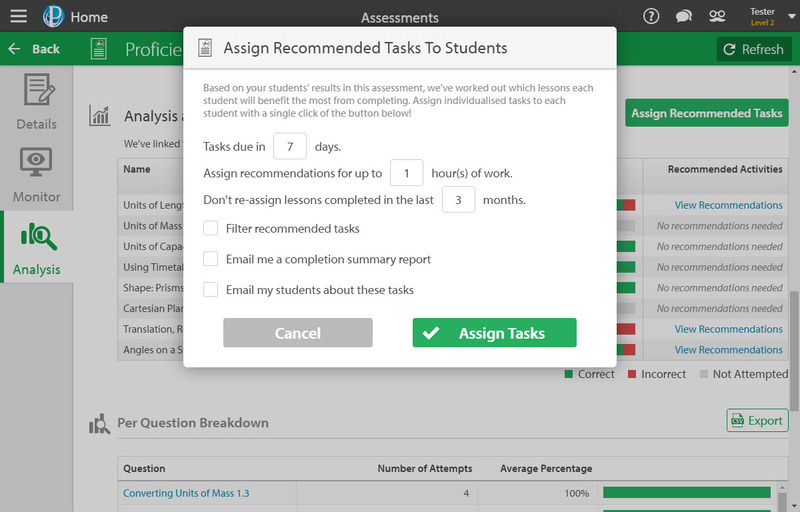 Ticking the Filter Recommended Tasks box allows you to assign tasks based on specific components of the assessment. You will also see approximately how long each section should take and how many students will be assigned each section. When you're finished, click Assign Tasks. 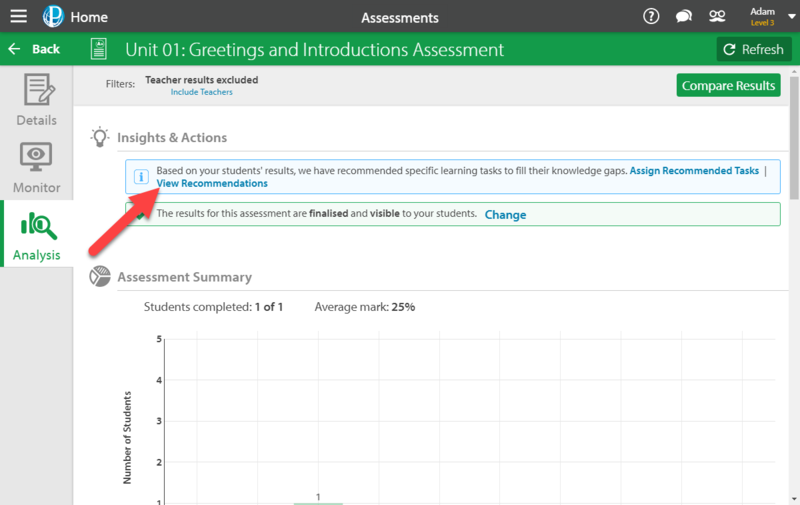 If you assign remedial tasks more than once on the same assessment (for example after the first class completes it, then again when the second class completes it), the first class will end up with two tasks assigned to them. 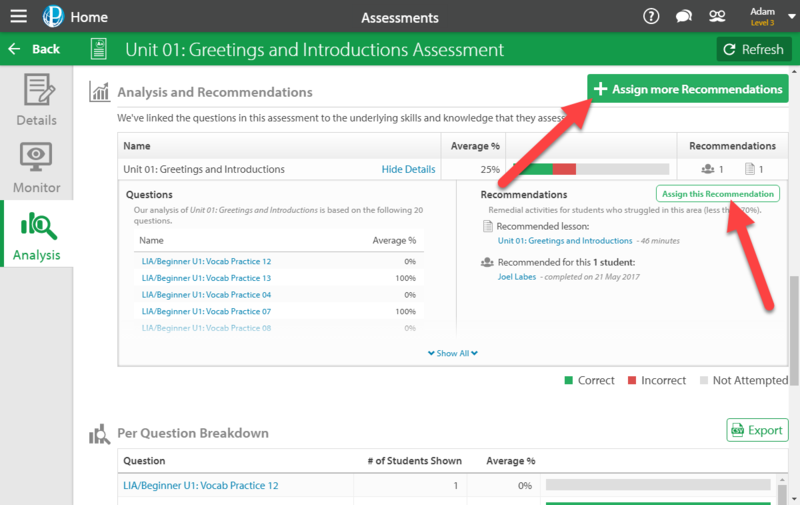 We recommend assigning recommended tasks once, when all students have sat the assessment.